Yes, Winter is coming and you better be ready for it. Why don't you wear your lovely trench coat? It looks like next Winter 2018-2019 is going to be full of awesome trench coats. I am 100% sure you gonna love all these great Polyvore fashion sets, as I tried to bring you only the best and comfortable looks you all can easily recreate next year. It's no secret, you can't go wrong with any of these combos. Why? Each one of these sets is classy, chic and perfect for everyday wear, work, as well as for going outs. This tailored outerwear piece gives a polished vibe to your look, no matter if it's casual, formal or smart-casual. You can find beige colored styles, pastel colored versions, classic black and many other. This piece of cloth is a must-have for cold season. All in all, check out my favorite and unique styles to choose your favorite combo. A basic trench can be worn atop red shirt, black leather leggings and OTK black leather boots. Let's talk about functional outerwear, yes, I mean trench coats. 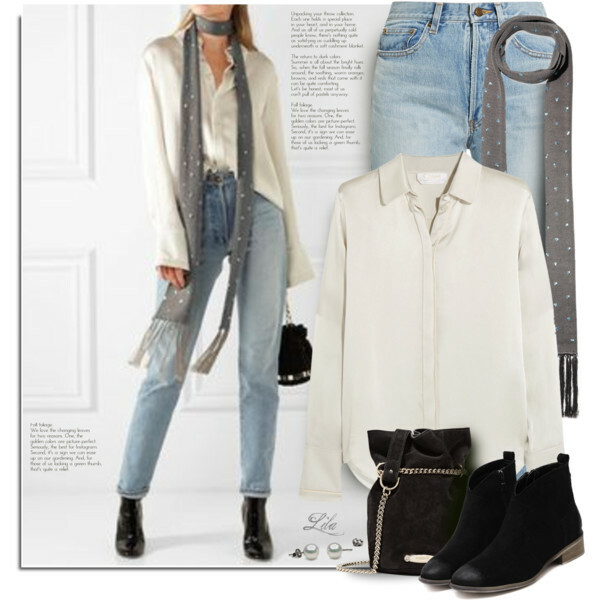 In today's blog post I'd like to share with you my favorite Polyvore fashion sets you all can recreate next Autumn 2018. In this collection are gathered best ideas you can use and wear right now. There is no secret about trench coats, as they will never go out of style. Thanks to modern designer brands you can find this outerwear piece in different colors, patterns, lengths and fits. You can easily make a statement, just choose your favorite topper and style it with something fashionable. There are numerous of fascinating combinations to wear this Fall. You can wear trench with everything you want and look sophisticated, or you can update your classic outfit with a colorful design. Don't be afraid to experiment, use your imagination to create fabulous new looks. I gathered impressive new combinations on how to wear trench coat this season, scroll down to find your favorite fashion set. This blush tailored mid-length trench coat is worn with whtie t-shirt, white skinnies and strappy blush pointed-toe pumps. Hello my dear fashion addicted ladies! In this post I decided to share with you unbelievably chic and fabulous trousers you all can try next Autumn 2018. If you want to look trendy and chic in your everyday life, then these Polyvore fashion sets are made specially for you. I'd like to show you incredible colors and fits. You gonna see plaid slim fit bottoms, sweatpants, chinos, wide-leg pants, printed essentials, Prince of Wales patterned, checkered basics, striped, mustard-orange, violet, beige, khaki-olive, black and white. You can combine them with cool shirts, blouses, tees, blazers and cute accessories. Anyway, here are some options that will take you from work to the weekend. 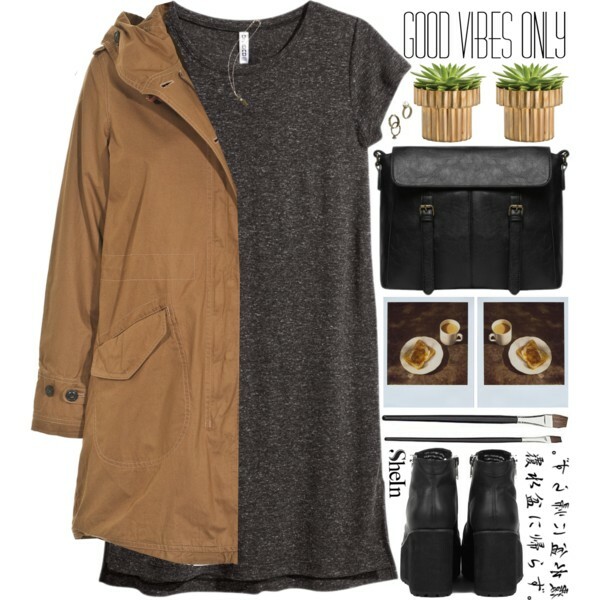 Try one of these Polyvore combos and enjoy! These skinny pants in tartan look very punk inspired. Try them on with plaid print shirt, ankle flat Ugg boots, stylish winter fedora hat and red leather shoulder bag.